Before you read the complete list of Best schools in Noida extension 2018, it is important that parents realize that there is no binary in school education system. A school can not be simply classified as good or bad just because a survey comes up with particular perception of the school. A lot depends upon the kid’s upbringing prior to schooling and a lot depends upon the kid himself/herself. At the same time, before searching for a school, clarity of thoughts is essential. Answers to these questions are a must have: Do you feel the child is smart and confident enough and only needs a right academic direction? 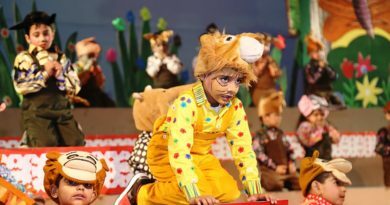 Do you feel all that the child needs is to grow in confidence? Do you feel child needs to find a career in sports or other extra co-curricular opportunities? Do you feel you can put the extra hard work by taking your kid to coaching/training in sports/music etc. during non-school hours? or Do you feel the child needs to have a strong like minded company? If you have answers to all these questions, this Survey could help you since we divide a particular School’s rating based on individual parameters and then we come up with overall ratings based on a well researched weightage given to these parameters. This year, along with SchoolBrainer, we researched around 45 schools in Greater Noida and 16 schools in Noida extension alone. 2 Schools namely Shriram Universal and DPS (KP V) will not be starting session this year and are hence not covered. Please note that 4 of these 16 schools will be having their first session this year and their ratings are primarily based on lineage, prospective parent’s feedback, planned/current infrastructure and submitted survey form, if applicable. can anyone guide us for the good per-nursery schools in noida extension.Our daughter will be 3years in May. Please let us know when DPS KP-V will be open. DPS KP-V will start from this session. You may try Pacific, Lvis, DPWS for holistic development. If focus is on studies, DPS KP V is also a decent choice. Depends on where you stay and what are your requirements? Academics? Infrastructure? Sports? Co-curricular? Recently a bloggers conference was held at infinity school. The administration and leadership looks good. I am not sure about teachers though. Now a new school INFINITY is coming up. How is the school versus BGS Vijnathama versus JM international? I am looking for school with fees less than 1 lac per annum during admission session. Please advise school good in academics and other activties. What about BGS vijanatham noida extension? BGS Vijnatham’s curriculum is more close to Indian values. However, staff is not one of the best. And other schools seem better on academics front. Co-curricular activities are sufficient. I visited LVIS and Pacific last week and liked both. Fees is not much difference considering infrastructure of pacific. What do you suggest? LVIS and Pacific are best options near crossing republic. You should explore both. My child is in LVIS. Some makeshift infrastructure is in place for sports. And academics and security look good. But, individual attention is a problem because of class size. What are the options available for me Noida extension for admission in class 6th?? I am looking for an economical school and could shell out 6-7k a month. Hi, please visit http://go4reviews.in/2018/09/fee-structure-comparison-noida-extension-schools/ for details of fees of different schools in noida extension. For your criteria, Aster looks like an option you must visit. Try DPWS and then Ryan if that suits your budget. First year would be comparatively expensive due to applicable admission fees. Faculty wise, for class 6th onwards, DPWS is good. LVIS too may have better faculty in future. I really liked pacific school. But they are not offering any discounts. What is your view on the school. Is 11k per month making sense? How is the upcoming jm international school? Could you please tell about the better of dpws and pacific world school. Both are at same distance from my home. Both are good but pacific world school is better if you can afford. How is marigold public school in ecotech sector? Better and established options are there in greater noida. 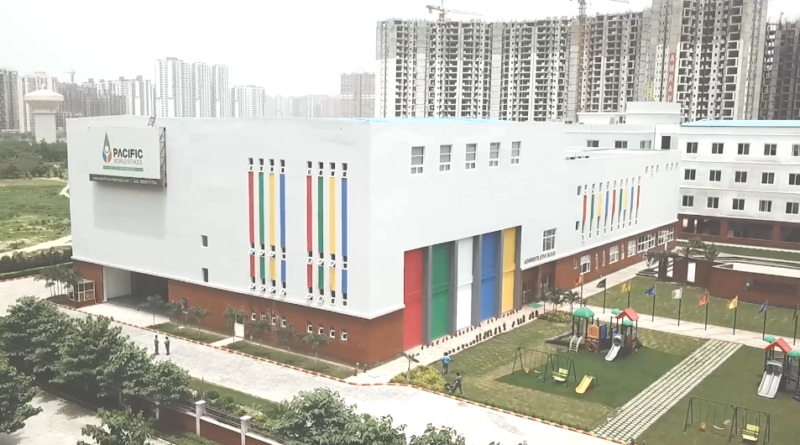 How is DPS school coming up in KPV in Noida extension? The size of upcoming school is big. But the class strength will be highest among other schools and the staff is still being recruited. Since most of the schools already have got the good teachers in the region, it may not have that good faculty. My daughter will be 3 yrs old in March. Which class will she be eligible for for 2019-20 session? She will be eligible for nursery admissions next session. I think Pacific school is doing really well. My kid started this session and the best thing I found is that the school is so receptive. The teacher quality is also good. Only one thing-May be they can work on inter school exposure as well. Dpws and Pacific world are best options among existing schools in Noida extension. I really liked experience of staff in dpws and I also liked the vision, innovative teaching and infra in pacific world. And Shriram is also likely to start from 2020. These are excellent options for holistic development of the kid. People in greater Noida main are also looking towards Noida extension now and so are Noida 12x sectors. Great going. Why is that schools like pacific and LVIS are charging so much fees. Any advise on which is the most value for money school. Means less fees, more value. Based on my own research and interaction with parents, It would be Aster in terms of value of money . But if affordability is not an issue then DPWS, LVIS and Pacific are worth exploring. I am looking for scho for my kid for next session for nursery. I am very impressed by dpws and pacific and I Found lvis too much hyped (I am sure it will improve). Sarvottam is decent and so is Aster. Finally confused between dpws and pacific. Please parents only suggest how they find these schools so far. Where do you stay? And whats your fees constraint. If fees is no constraint, Pacific world school is a great option and is catching up well with dpws. Go for DPS KPV among these two. But eventually both may have issues with individual attention. So, better you choose other schools which are established. We are planning to shift Noida 7X or Noida extension, but before that we want to finalize school for my son who will be in KG next year. These are the options we have so far.. 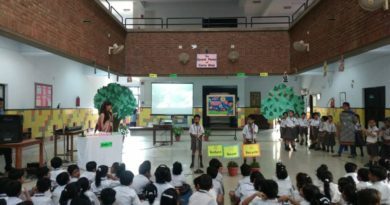 Need your suggestion which would be the best school (not too much pressure on kid), and Noida 7X vs Noida Extn which would be better from livability point of view right now? Thanks! Visited Pacific world school last Saturday. Infra is top notch without any doubt and seems to be the most prepared school of the region. But somehow I felt there entire focus was on showcasing infra only. On the other hand had great meeting with LVIS principal, she hails from LVIS e-way and she sounded like a true educationist. Finally decided to go with LVIS hoping my kid will be in great hands. Dropped the idea of GD Goenka Noida, although location wise it was a better place for me. DPWS and Aster, both are good. Aster is more value for money while DPWS is better but costly as well. How is bloom International plz. This year result has been decent I believe and fees is also OK. I want to get my child admitted from july. I am confused btw dpws and aster, could you help suggest. My child goes to pacific world school and we are really happy with his first month there. the school has taken good care of the kid. they are giving good exposure to stage and field infra for which is in abundance there. Ryan Noida extension or greater Noida? Pacific is the best of upcoming schools. Excellent infra, good vision. The first week of my kid at school was a good experience. First couple of days so far have been really messy with the lotus valley school especially the transport. It’s a long term choice but it’s especially a risk in first few years from safety and individual attention perspective. Excellent curriculum followed by DPWS coupled with experienced staff clearly makes it a good choice. Aster is good too but they have high student teacher ratio. Having met principals of majority of schools, Lotus valley, DPWS and Aster are clearly the best. The vision of the principals of these schools is something to vouch for. Especially Jyoti Arora mam from DPWS. Great experience talking to her. St Johns needs to work harder. The infra is still very less and teachers not approachable.